Since 2005, Sugar NLP Ltd has been delivering world-class, time and cost effective, practical training to enhance peoples’ personal and professional lives. Sugar NLP is an established training partnership between Neal Anderson and Ben Dowman. We are highly skilled and accredited NLP trainers who offer two perspectives on NLP and two styles of facilitation. 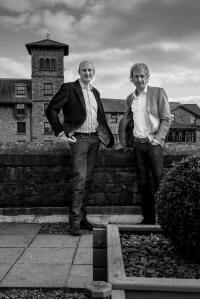 Together, Neal and Ben bring to the training an unrivalled depth of knowledge, diverse experience and shared values. To help individuals understand and apply Neuro-Linguistic Programming and enjoy more excellence, engagement, passion and personal leadership in their work and life. To provide fresh and unique solutions to our clients’ business problems that help build collaborative, motivated, intuitive, goal-focused individuals and organisations. To provide training that help build confident, empathetic, emotionally intuitive and life-affirming individuals with excellent communication and interpersonal skills. We provide a range of training solutions to develop people and help them achieve success in their chosen field. Our NLP based training is a truly unique, varied and fulfilling experience with many interesting tools and techniques that can be used in day to day work and life. We have over 25 years of training experience between us and have both trained with the co-creators of NLP, Richard Bandler and John Grinder, as well as leading NLP master trainers including Dr Wyatt Woodsmall (the trainers trainer for Tony Robbins and Tad James), Steven Gilligan (often described as Milton Erickson’s protégé), John Overdurf & Julie Silverthorn (acknowledged NLP experts in coaching the unconscious mind) and Dr Susi Strang (creator of Memory Re-Solution and leading trainer of NLP Psychotherapists). Neal Anderson is a psychology specialist and works as a coach, facilitator and trainer for individuals and teams who are in transition and have a positive desire to move forward. He helps people increase their effectiveness and IMPACT. By activating strengths, aligning values, resolving conflicts and motivating behavioural and attitude change Neal helps people and organisations connect to their best identity. His style is a purposeful, supportive, playful and empowering blend of Positive Psychology, Experiential Learning, Visualisation and Neuro-Linguistic Programming (NLP). His aim is to make a performance difference. 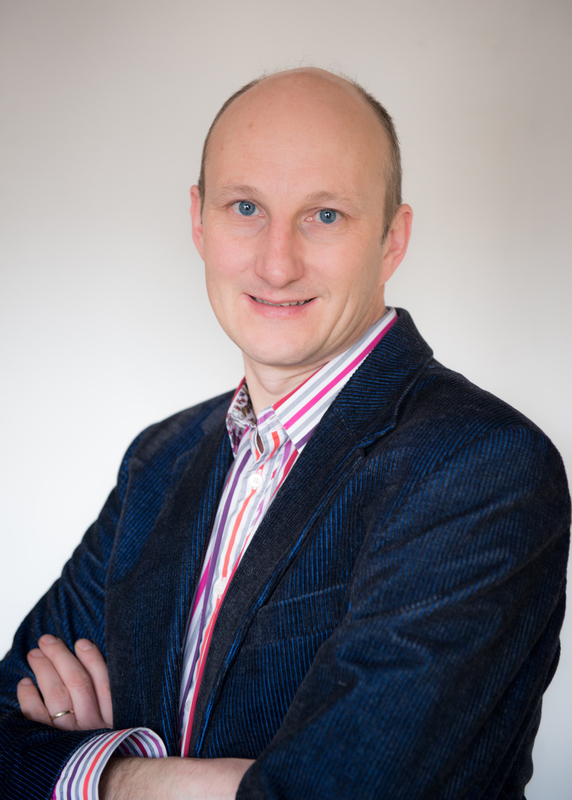 Neal is an INLPTA Registered NLP Trainer, Coaching and Business NLP Trainer (INLPTA), Qualified Teacher (QTLS), UKCP and NLPtCA Registered Psychotherapist, holds a Masters in Management and is author of "The NLP Coach Companion" and several personal performance workbooks. Alongside Sugar NLP, Neal has a thriving psychotherapy, supervision and coach training practice based in Kendal (www.valleytraining.co.uk) aand is a leading Mentor and Assessor for the Institute for Outdoor Learning. Life at home is never dull and tales of adventure with his wife, Tryfan the dog and 4½ year old son often feature as a source of humor and metaphor in the training. Ben Dowman is a highly experienced facilitator, psychologist, coach and consultant and has worked within organisational development for over 12 years. His areas of expertise and passion are Behavioural and Cultural Change, Leadership Development and Personal Effectiveness within organisations. Ben draws upon his range of advanced qualifications including Coaching, Neuro-Linguistic Programming (NLP) and Emotional Intelligence in the delivery of professional development. His work is successful as it deals with peoples’ beliefs and values not just their knowledge; if sustainable development is to be achieved people need to consider their mindsets as well as their behaviours and he is passionate about seeing real world results that make a powerful difference to individuals and organisations. Ben has an enthusiastic facilitation style, which comes from his first hand experience of people development and understanding of how people learn and change. He adopts a ‘high challenge-high support’ approach with participants and generates an engaging, reflective and achievement orientated learning environment. Learning is experiential, thought provoking and fun, providing people with the ‘hands on’ opportunity to discover things themselves and with their peers, rather than merely bombarded with facts. Ben is a Certified NLP and Hypnosis Trainer (INHNLP and ABNLP), Master Practitioner of NLP, Humanistic NLP Coach, Advanced Life Coach and Master Hypnotherapist. Ben’s interests include meditation, cycling, rock climbing, improvisation and amateur dramatics. In 2011 he performed at the Edinburgh Fringe Festival and also performs with the Fairly Famous Family street theatre company. In 2010 he was chosen to be National Geographic’s Adventure Ambassador. If you are not you, who will be? In any one moment all you can be, and all you are, is you. We recognise the unique perfect and not so perfect qualities of each person and encourage them to develop self-awareness, self-acceptance and be authentic in all they do. Are you changing in ways that are helpful to your life? Change is an inescapable truth at a biological and systemic level. We assist people to recognise, choose and take action to ensure the changes they are making are the ones they want to have happen. How can we ever know what we are capable of? In any moment, our thoughts are only the tip of an iceberg of unconscious knowledge and wisdom. We help people recognise, trust and apply their strengths, skills and life experiences in helpful, resourceful and generative ways. Are you experiencing the work, life and relationships you want? The world acts as a mirror for your thoughts, feelings, actions and intentions. We provide opportunities for people to discover and update their filters to provide them with greater levels of flexibility, freedom and choice. We founded The Institute for Applying NLP to uphold the use and application of NLP to real life situations. Concerned that certain aspects of NLP were becoming too theoretical or detached from reality the Institute for Applying NLP is about using NLP to make a difference in the world in which you live and work. We represent the leading NLP certifying bodies worldwide and are committed to upholding NLP as an ethical and practical approach to communication, change and achieving goals. We have a passion for developing people and helping them achieve their goals. Our training empowers people to fulfil their potential and have faith in their capabilities. We are relentless in our drive to understand specific problems and desired outcomes, and we work with our clients and delegates to provide the most relevant solutions. We design our programmes to ensure they have maximum relevance and practically. Our training empowers people to make a difference immediately and our delegates stand out for their skills, personal awareness and behavioural flexibility. We understand the importance of making learning interesting and engaging for our delegates and model communication excellence in all that we do. We pride ourselves on providing interactive and entertaining training using fresh, unique content and effective accelerated learning techniques. The material and techniques were just right and we had time to practise what we learned." "Personally it has helped me consider a lot of issues for myself from a different perspective that has helped me move on at work." "I've got loads of tools, heightened awareness of the subtleties of communication, desire to practise and learn more, awareness of just how powerful mastering the techniques can be."